Hotel in the center of Aarhus and Aarhus Jazz Festival has negotiated a good price on hotel stays during the festival. 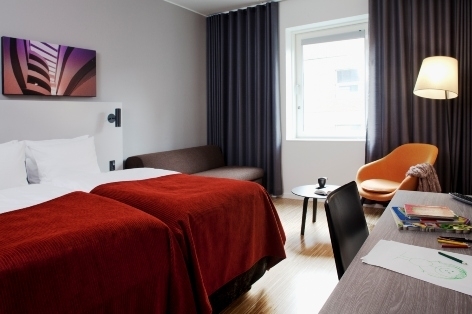 Scandic Aarhus City is the official festivalhotel in Aarhus Jazz Festival and offers rooms at a discount in the festival period. Prices are incl. breakfast and wifi. Booking code BAAR110719 must be provided when booking. Order by mail: aarhuscity@scandichotels.com - or phone: (+45) 89 31 81 00 (reception). Settlement takes place on departure.